Eversince i read the Naked Traveller, a book by Trinity, i always wanted to go to Philippine. This country which looks mostly like Indonesia somehow attracts me. 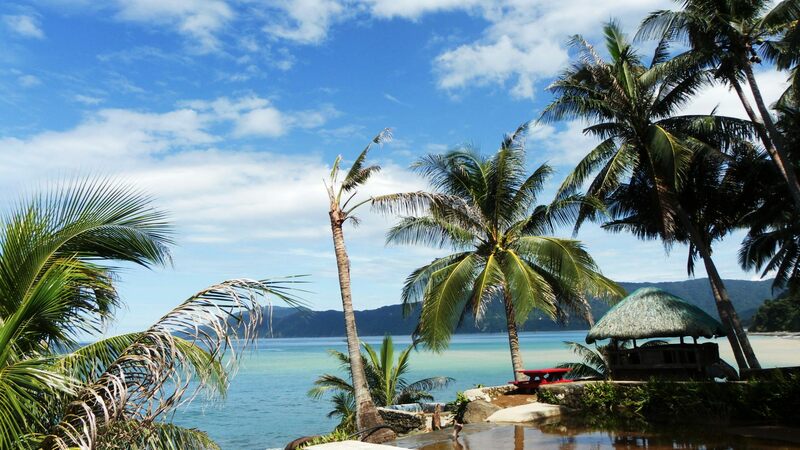 Trinity described Philippine as a casual country, with several magnificent old buildings and historical area, and not to forget mentioning its beautiful beach and resort. 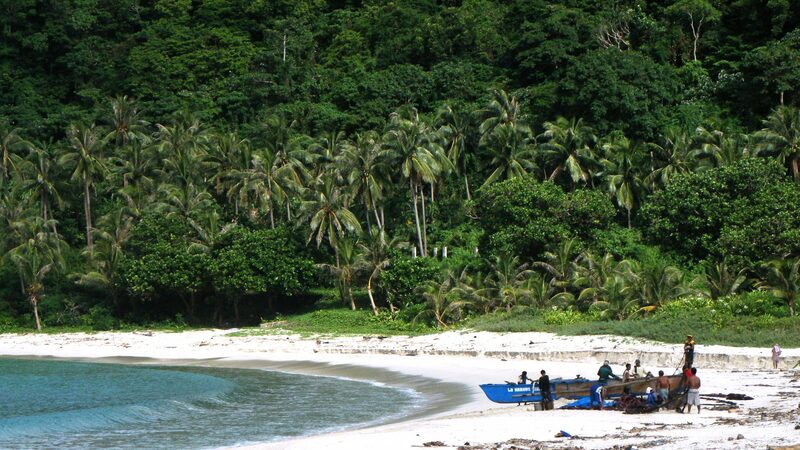 Philippine consists of several islands, and to get to another one, we should use a plane. But then due to our limited leave from work, we decided to just explore Luzon, the largest island in Philippine. From south to north, there are beaches. But aside from that, there also many beautiful old areas with wonderful buildings like church, museum, and fort. There is this area that we visit on our first day in Manila called Intramuros an integrated area of old Manila and favorite tourist spot. 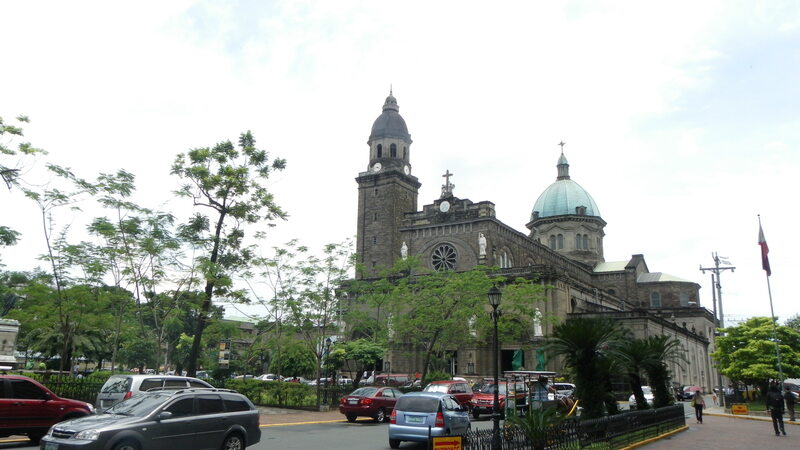 Name it; Santiago Fort, Nasional Museum of Manila, the oldest church St Agustin, Manila Cathedral etc. One thing that impress me, the people here are so friendly and good for its hospitality. They can speak English, a good one, and some are mix up with Tag Lish (Tagalog – English). But somehow, they often mistaken us as one of them if we forgot to mention that we are from Indonesia. Anyhow, soon that night me and my friend took a bus head north. 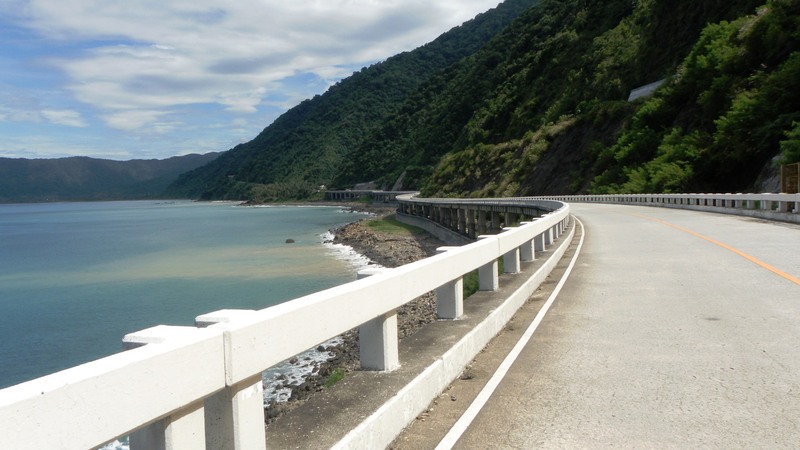 The city named Pagudbud in area of Ilocos Norte, which famous for its beach and nature based tourist spots. There is a law here for littering. It is hardly stated that anybody who litter should pay huge amount of fine. Its vary depends on where the location is. Just like Phuket, Thailand, this place hang on their tourism as their prime income source. Just said Vigan old city, Batad in Baguio which is famous for its UNESCO heritage site, a far ranging rice terrace built in during 2000 years! Luckily we were offered a tour by a tricycle driver named Mr. Ferdinand.For southbound and northbound tours, visiting around 10 places, we should pay 1000 peso for two (20 dollars). Its quite cheap, but we should pay for the entrance fee by ourselves ranging from 20 to 100 peso per people. It was drizzle that morning. We decided to have a breakfast near the bus station but then we got tricked! Actually, seems like not all Filipino was as great as i described before. Just be careful in paying something with no stated price, and always try to bargain for anything. I mean it! When the rain almost stop, we started our journey. 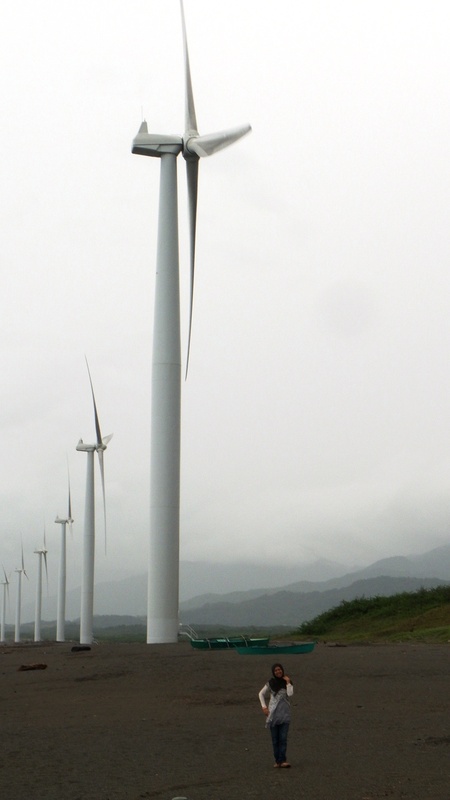 First, the Bangui windmills. The windmills really is big and super giant and its located next to the shore. Compared to my self i felt like an ant really! The sand is not so good, its brown with steep shore. After buying some unique souvenir to bring home, with a good after bargain price, we continued to Cafe Bojeador lighthouse. The lighthouse is not as tall as the one i saw in Belitong, Indonesia, but it still quite magnificent with its dramatic view to the sea. It is located up of the hill but the road was bad, it was in process of renovation. In the northbound tour its much of a conservation area and beaches. There are Kabigan waterfalls which needs 2 km hiking to reach, and Patapat viaduct, that looks like a sea side road pass with super amazing view. I like the water, its so blue, as also with the clear sky and very bright sunshine. My friend even cover his head with his jackets. Come on, i am the girl anyway. There is also a picnic park named Agua Grande. But it was off season but this place really is pretty. Only two of us there with our driver, and the owner come in the next minutes. We paid 50 peso each to get in. This place is a private places as they claimed, but i am not really sure about that. We also visited another places named Paraiso ni Anton, Timmangtang Rock, Bantay Abot Cave, and see Dos Hermanos Island from the sea side along our way. We stop finally at Blue sea lagoon beach which so much looks like Nusa Dua in Bali Indonesia. Some area belong to a resort named Hannah’s and the other are free for public. The weather still is hot and heat our head so much but i do love it. Sitting at the beach playing sands on my feet, and then tried to catch the waves while it hit the shores. And there are some fisherman who just come back from the sea. I tried to talked to them but they did not understand English, so yes, i just captured their after fishing activity. We take another night bus head back to Manila that night. It safe our hostel cost. Next morning, without taking a bath (Opss), we just clean up and change at the nearest Mc Donalds. We get some hot coffee and pancakes and then get ready to explore the south of Manila, Tagaytay. Tagaytay is like Puncak, Bogor in Indonesia which is famous for the cool weather and fantastic view. 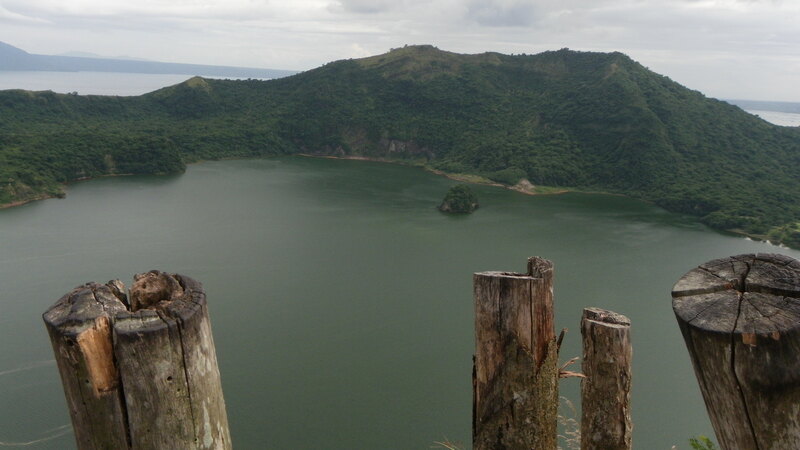 Many old buildings and memorial thingy lied down here, there also some graves of important hero of Philippine, but beside that, there is this famous smallest active volcano in the middle of a lake which named Taal Volcano. To reach this small mountain, we need a boat. We can share it with other groups but actually the boat only capable of 4 to 6 people. We rent it for three of us for 1.400 peso. To reach the boat, you need a tricycle or jeepney, and then to reach the crater from the boat harbour, you just need another transportation, say it, a horse! 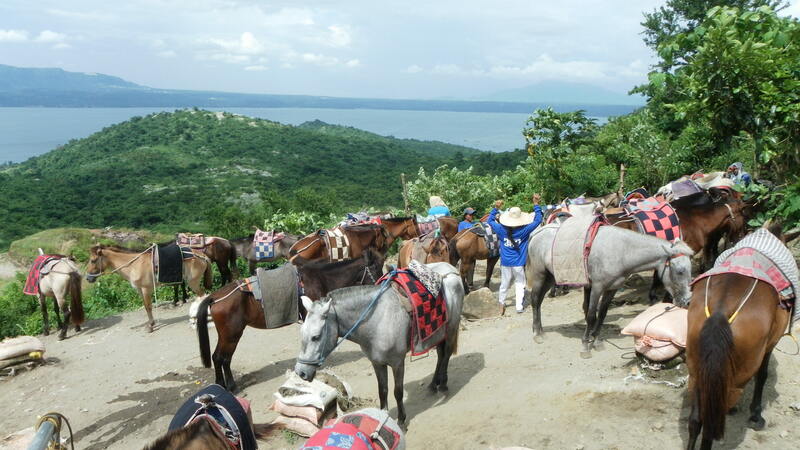 But i did read some review regarding this, and they so not recommended tourists to ride the horse because of its steep road, aside from the abnormal fare around 500 peso per horse per person. 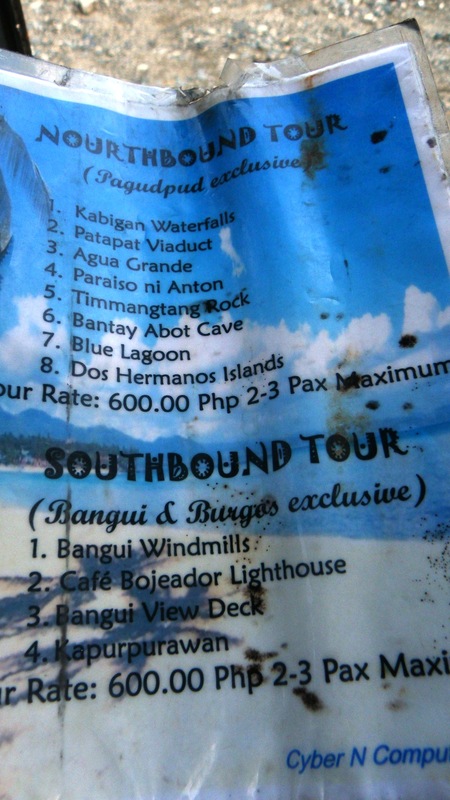 We take the walk for 40 minutes and pay permit 50 peso per person and another guide fare for 500 peso per guide. We walked for 40 minutes and then, when we reach the top of the mountain, seeing by ourselves the magnificent scenery of the crater which still eject some sulfur and smokey down there, all the tiredness is just fade away. And then when we turned back, what we saw was something more fascinating. The calm lake with tagaytay city as the background, and another non active mountain on our left. So great! Even though when we get down to our boat again the rain just started to pour, its just fine. We enjoy it!